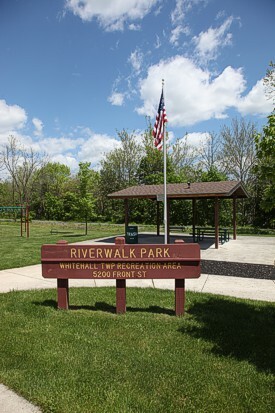 Whitehall Township's Bureau of Recreation oversees approximately 370 acres of parkland at 30 different sites throughout the township. These properties range from small tot-lots to our 110-acre Whitehall Parkway and Ironton Rail-Trail. Whitehall residents can experience both passive and active recreation through the various clubs and interest groups. Club offerings include: Garden and Beautification, Historical Preservation and park and playground groups located in the villages that comprise Whitehall. Activities within the township for the avid adult participant and fan include: fishing, bicycling, picnic areas, ice skating, roller skating, golf, aerobics, tennis, volleyball, softball, basketball, swimming, aqua aerobics, zumba, martial arts, and hiking treks for different interests such as flora and fauna, bird watching, historical sites and conditioning. Three municipal pools offer relief from the summer heat. Season passes are available for township and non residents. Swim lessons for children and Aqua Aerobics for adults are available. The Recreation Department also utilizes the Whitehall High School pool from fall through spring for aquatic activities. In addition, there are annual carnivals sponsored by several of our playground associations. For more information on any of our special events, call the Recreation Hotline at 610-437-5524, ext. 200. The Bureau of Recreation is proud of its past accomplishments and is continuing to improve the quality of life for its residents and their friends and families. Anyone with a concern or anyone interested in volunteering should call our office at 610-437-5524, ext. 160. Volunteers are always needed and certainly welcomed! !